Horse behaviorist getting close to a horse. Keeping a horse from developing bad habits can be difficult for new, and even experienced, horse owners. Many problem behaviors have their origin in the basic instincts of the animal. Trainers that are experts in equine behavior know how to read a horse, and make specific plans for a specific problem with the horse. Self-preservation is a fundamental instinct of all equines. Horses have a tendency to "bolt first, ask questions later." Second to this instinct is the impulse to "get this predator off of my back." Bolting, bucking, rearing, and biting are all behaviors that are dangerous to the owner, but second nature to the equine. Amazingly, these large and potentially dangerous animals adapt well to training, and in most cases negative behaviors can be minimized or eliminated. No horse is 100% safe, but with proper training and conditioning most every horse can become pleasant to handle and ride. 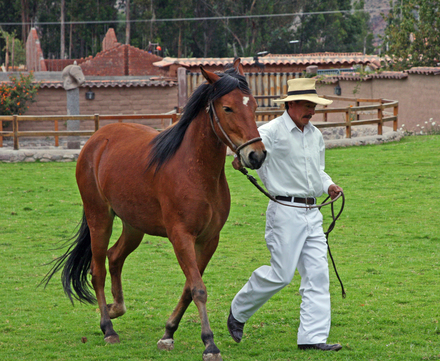 What is a horse behaviorist? 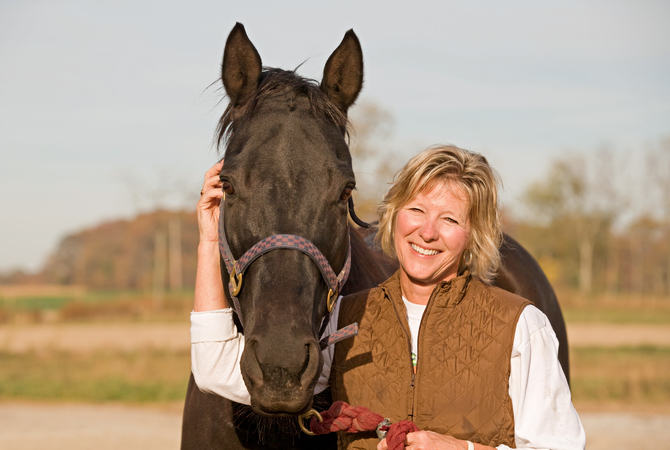 A horse behaviorist is a horse trainer who specializes in training or retraining horses having behaviors that are dangerous to other animals and humans. 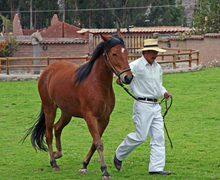 Depending on the seriousness of the problem, many behaviorists will first work with the horse to get the negative behavior corrected, and then work with the owner. It is important to train the owner to understand the causes of the problem, and how to keep it from recurring. 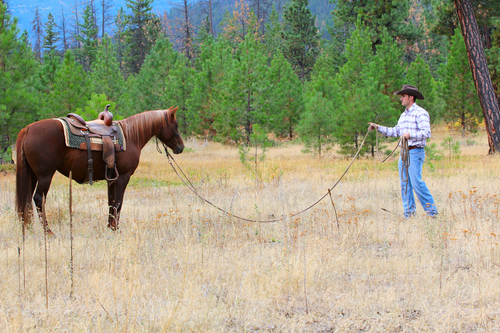 Unfortunately, there is no recognized governing body that provides certification that you can rely upon to determine the level of education and training of a horse trainer. There are unscrupulous trainers who may use antiquated and harsh techniques to intimidate the horse into avoiding a behavior, but these methods do not produce long-lasting results unless the owner also adopts the harsh techniques. Other trainers may insist on a long-term training program that goes beyond fixing the specific problem, takes too long, and is too expensive. These trainers prefer to take control and will insist on giving you riding lessons as part of the "total" solution. Fortunately, thanks to the natural horse movement, there are a number of trainers who focus on behavior issues, and who have been certified by a professional trainer as having the skill and experience to help fix many behavior patterns. 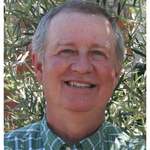 Pat Parelli, Clinton Anderson and other well-known trainers certify others to help owners understand and fix behavior issues. You can find behaviorists by searching online (including EquiMed's health services area). You may also ask your veterinarian or farrier for recommendations on trainers in your area. Don't rely solely on advertising. It is best to get a recommendation from a professional, or at least from a trusted person who has personal experience with the behaviorist. Most behaviorists will want to observe the problems with you handling the animal. A surprising number of behavior problems become ingrained because of how the owner handles the horse. In many cases, the behaviorist may request that you board the horse at his or her facility for a short-term training stay. The horse will be worked on a daily basis to address the behavior. When the behaviorist feels that it is safe, they will work with you to learn the training techniques to maintain the new conditioning. At all times, you should be kept aware of the progress with your animal and you should be an integral part in the retraining process. I would be wary of any trainer who doesn't welcome or insist on your participation. Ears, Eyes, Mouth and Tail - Observe Carefully!